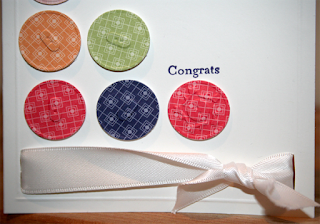 The Folded Card: (Sweet) Buttons (embosslit) and bows. Good evening all, I know I promised you all a tutorial for the owl punch rose but I thought I would let you all see this in the meantime while I finish it for tomorrow. It's been a few weeks since I entered a competition over at Less is more but this week's one on buttons and/or bows really caught my stamping mojo. 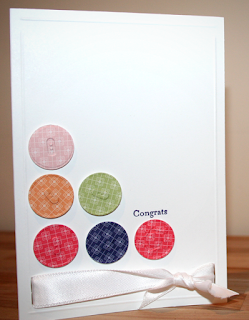 I love using buttons on cards, but it can be hard to know when to use them as they are quite heavy on a card and using lots of them can get expensive. if you are posting a card it can also push the card up into a large letter bracket for postage. Here is where the fantastic Sweet Buttons embosslit comes in. This die for the Bigshot embosses and cuts at the same time. 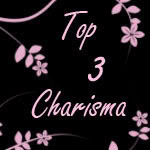 This means that you can produce 3d embellishments quickly with minimal mess. It cuts and embosses six buttons at once and is ideal for using up scraps of paper. It also means that you can have an unlimited supply of colour coordinated embellishments at the turn of a (Bigshot) handle. 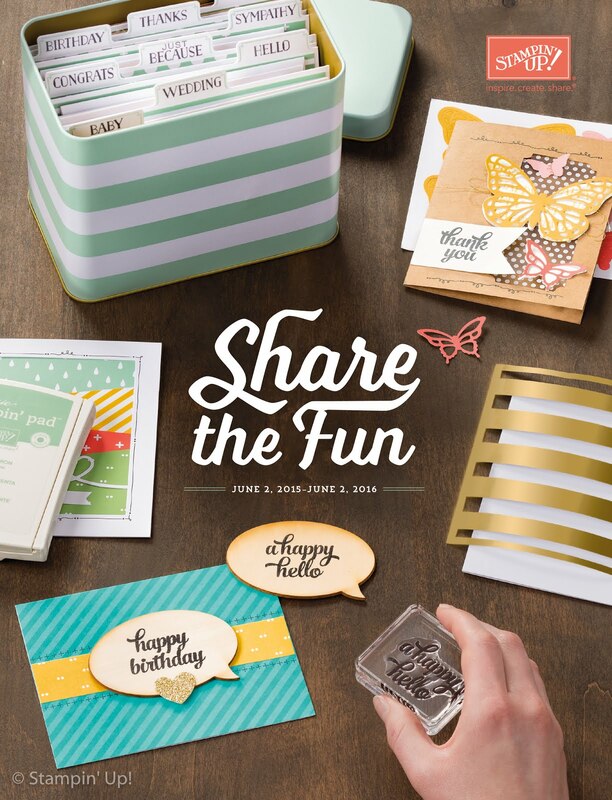 Here I used the In colours designer paper that is a level one hostess gift in the current catalogue. 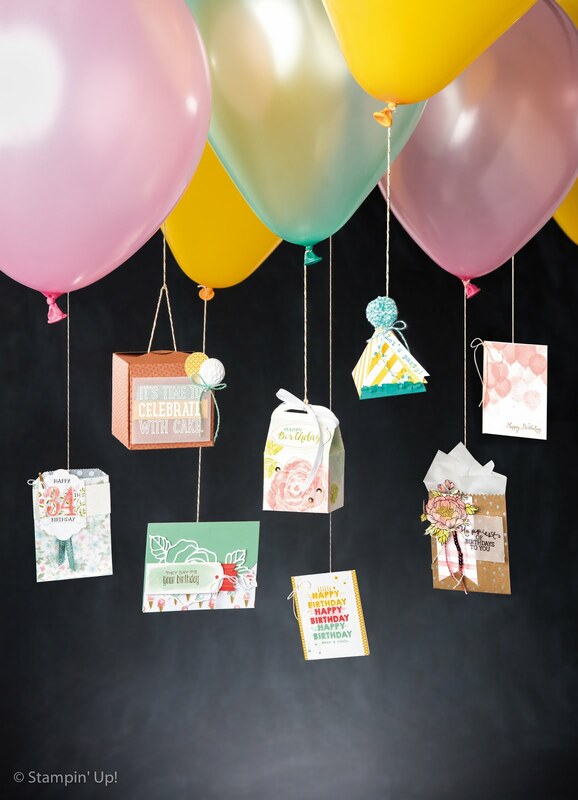 All of these hostess gifts will retire on the 1st October so if you have your eyes on one why not book a party with me and take advantage not only of Stampin' Up's generous extra £20 hostess benefits but my 10% off deal. I will take the 10% off after qualifying for the hostess benefits so you get the best of both worlds! The little congrats on the card is from the Silhouette Sentiments hostess set and is amazingly useful for these little sentiments. The ribbon is tied using the finger bow technique (which I can demo at a workshop!) and put through two slits in the card as I didn't want to add any more layers. I also used my paper trimmer to emboss lines around the outside edge of the card using the scoring blade. I think it adds a little extra without making it too fussy. So I hope that you liked today's card and don't forget about the amazing offers available to you this month. They end on the 31st July so don't let them slip away! This is a sweet card Claire, the colours are really cheerful and the ribbon is beautiful!